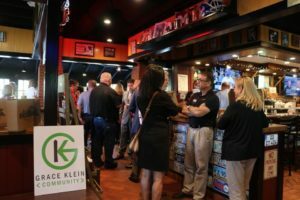 On June 26, 2018, Grace Klein Community held our quarterly Networking for a Cause event at Dreamland BBQ. 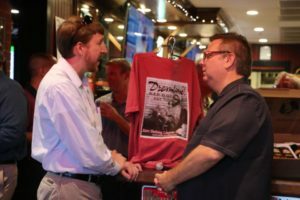 Dreamland graciously hosted over 200 local business and ministry representatives, as well as friends and family of Grace Klein Community. 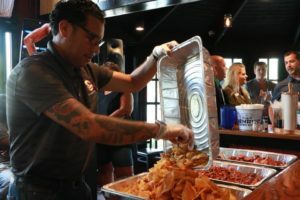 Dreamland also generously provided complimentary appetizers for the event. A special thanks to Richard Uzzle, the management team and serving staff for amazing attention to detail and volunteer service! Door prizes donated by local businesses made an awesome night of giveaways while the silent auction helped raise money benefiting the monthly Food Delivery Ministry of Grace Klein Community. 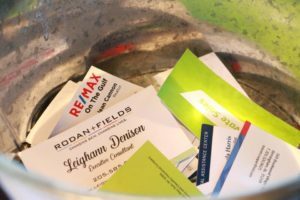 Thank you to all our business sponsors, attendees, and community friends for making Networking for a Cause such a success. We appreciate your continued love and support. 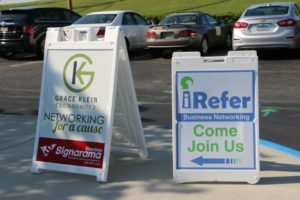 A total of $2,698 was raised through Networking for a Cause benefiting the monthly Food Delivery ministry of Grace Klein Community. 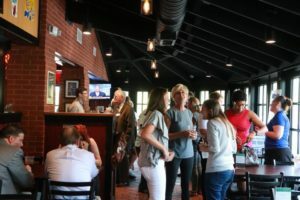 Our next Networking event will take place toward the end of October. We will keep everyone informed as the details unfold.